The past two nights our temps were supposed to dip down to 31 degrees, which scared me just the teensiest bit. Because I've been a naughty girl. Granted, I've been sticking to things that can take a bit of cold. However, I don't think we quite hit 31...and in checking out all my plants, things are doing just fine! Thriving, even. Looking ahead at the ten day forecast....drumroll, please....as of today there are no temps predicted that hover on that frost line.....yippee!!!! That takes us into about the middle of May....and we'll be ready to plant for REAL this time! 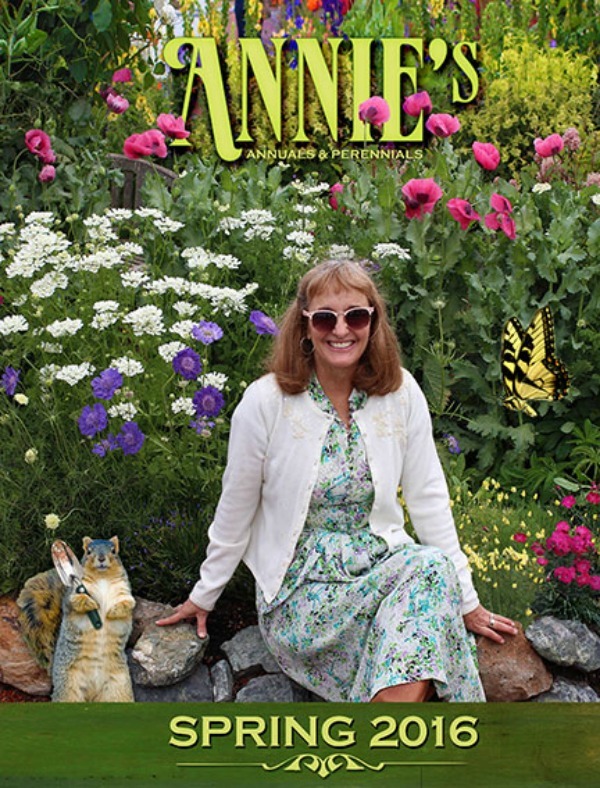 It was time to place my order at Annie's Annuals. I've been drooling over their site and plants for far too long now - it was time to pull the trigger! All the plants that I am trying out from Annie's are ones I've read about, either in my favorite gardening book or on Marie's blog, 66 Square Feet. I've wanted to try some of these for years, but I never seem to find them in my local garden center. So I had to turn to the world wide web for some help. Enter...Annie's Annuals & Perennials. What an amazing selection they have - I'm drooling! And just check out this gorgeous video of the cottage garden at Annie's - can I please just move right in there? I selected a couple of plants she showed in the video - it was hard to limit it to just a few, that's for sure. By the way....I did show some incredible restraint....I removed a bunch of plants from my cart before finally processing the order. It truly pained me to do so. Sigh. 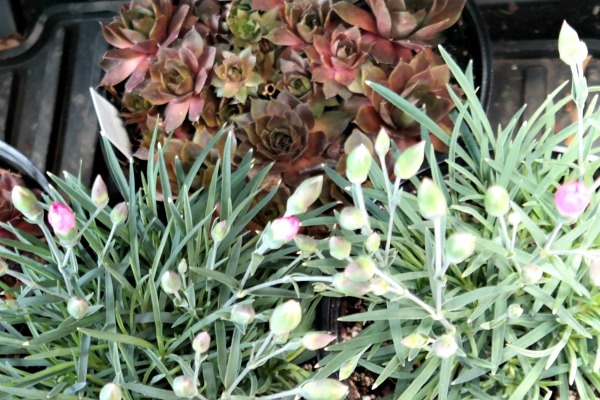 In the end, I chose a combination of perennials along with some annuals that will readily self-seed. I don't want anything that will be just a one hit wonder - it needs to come back again and again if I'm going to give it a place in my garden. 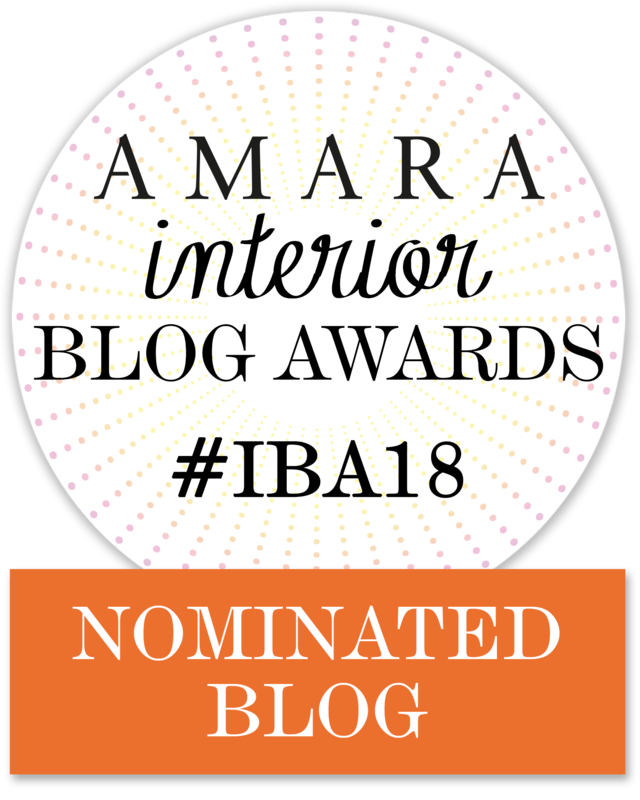 Oh, and one more thing....this is NOT a sponsored post, I'm just super excited to share my selections with all of you! So, here's what will be coming my way in a few weeks' time - I can't wait! 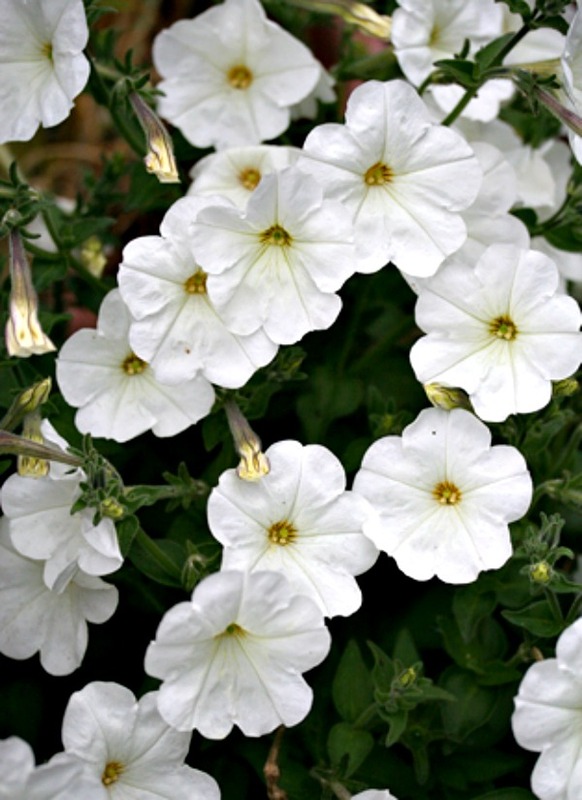 Graceful of habit & PERENNIAL, we adore this original ancestor of modern Petunias. Introduced into cultivation in 1837, we’re lucky to get seed from the U.C. Botanical Garden in Berkeley, CA. 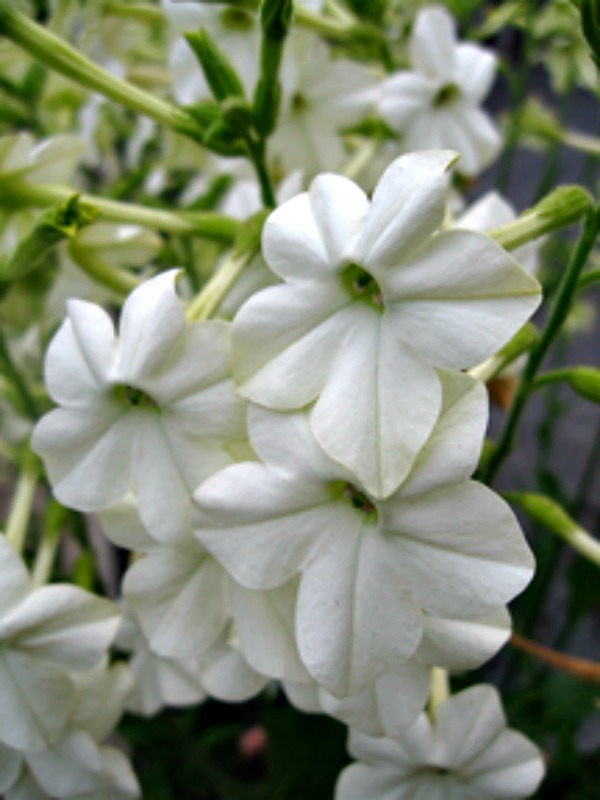 Large, 2.5” across, pure white flowers bloom from Spring to Fall, forming a 2x2’ mound of blooms that tastefully twirls itself around taller neighbors up to 4’. Night scented of vanilla & licorice, it’s pollinated by those amazing hawkmoths. 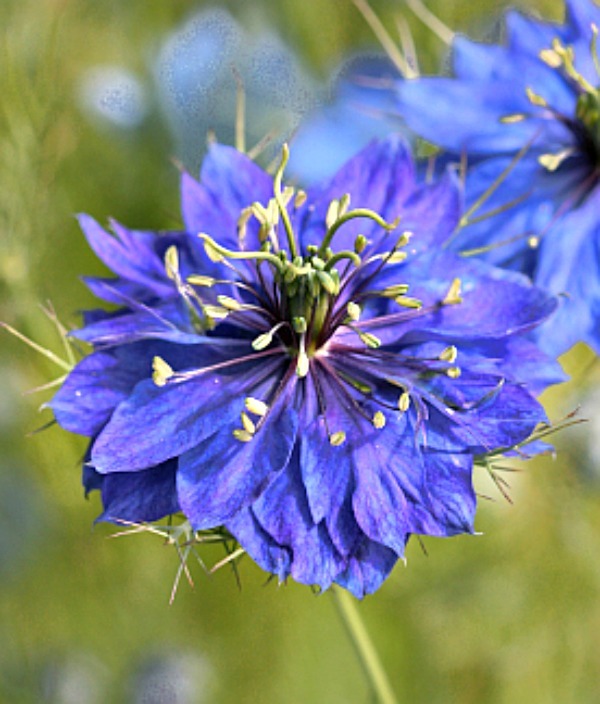 This is the darkest of the well-known "Love-in-a-Mist" - a must grow if you've never tried it. 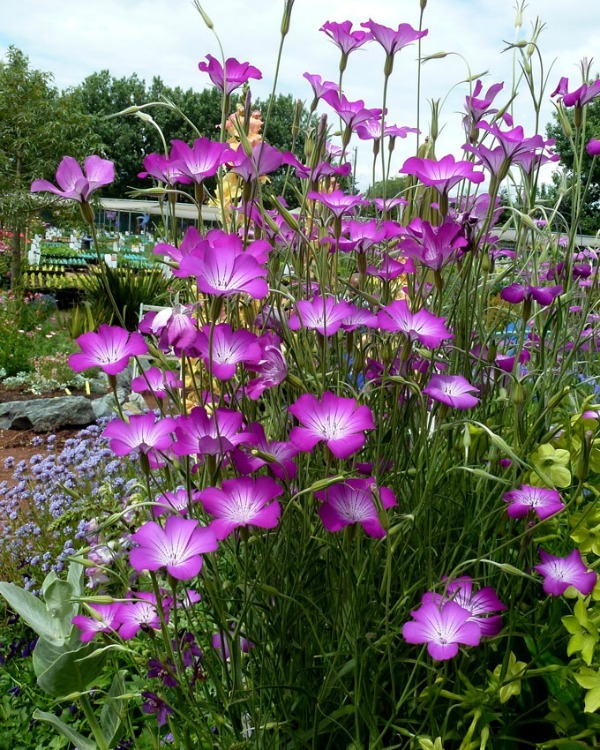 Easy to grow, it prefers poor, well-drained soil and little water. 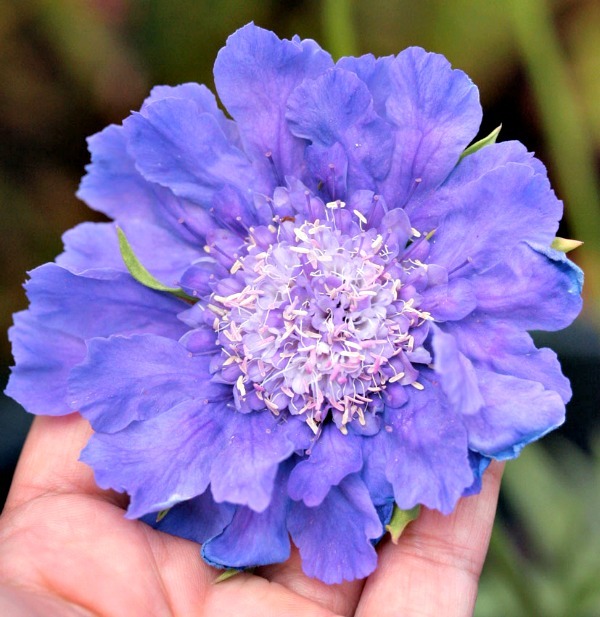 A tremendous asset when mixed in an informal or cottage garden and is naturally charming in a bouquet. Reseeds! Grows 1-2' tall. Tanacetum Parthenium Aureum “Golden Feverfew"
Add “highlights”to your garden the quick & easy way! 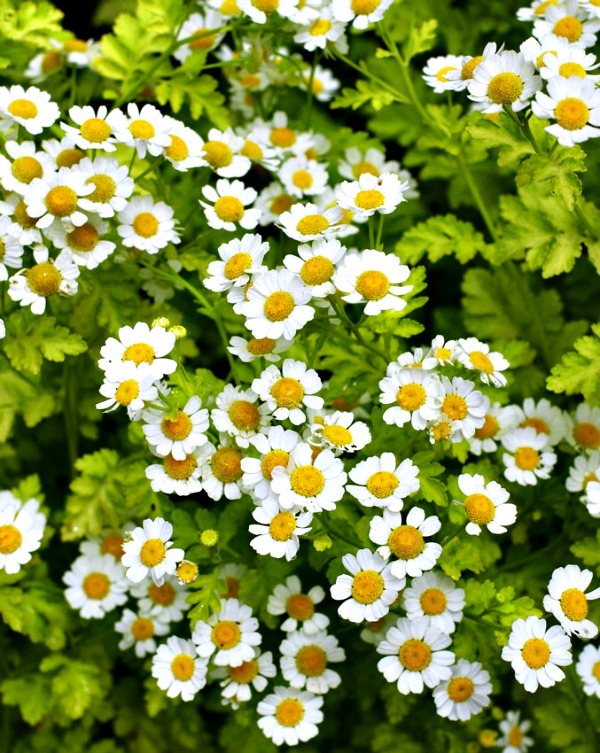 Pop in a few “Golden Feverfew” to create luminous lime green foliar contrast & texture. Trust me – it looks great! Nicely mounding to 14”x20”, plus you get little white daisies, or cut them off to just enjoy the limey-ness. MUCH better contraster than those lime-leaved Heucheras. Good soil is best. Deer resistant & drought tolerant. Self-sows. How sad for all those newbie gardeners out there – for they may never know that “Flowering Tobacco” used to grow to 3-5’ tall, was deliciously scented, attracted butterflies, bloomed forever and was not only perennial but always self-sowed for lots of free “volunteers.” If we’re not careful and save our seed, this delightful heirloom may someday soon disappear forever! A time honored partner to old-fashioned roses and a shady garden favorite, plant in part to bright shade in hotter inland areas. Rich soil for best performance. Deer resistant. Self-sows! Can you say robust? 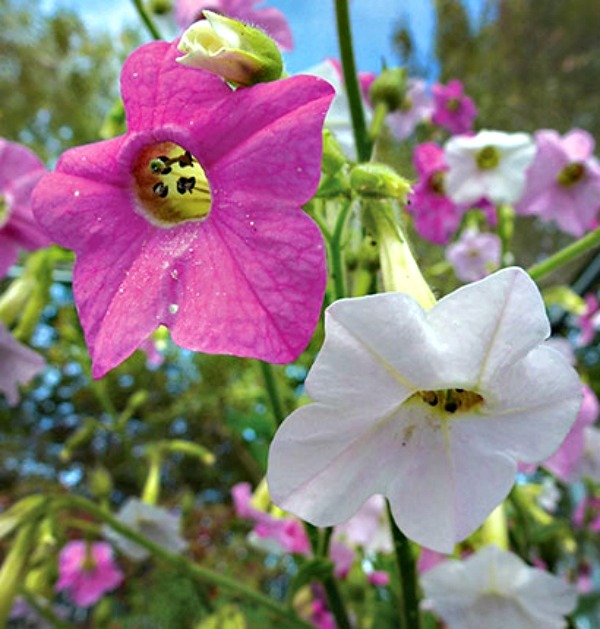 This giant Brazilian, show-stopper blooms year around along the coast & will quickly & easily reach 5’– 6’ – 8’ tall, creating a cloud of sensational 1” blooms at least 3’ across. Each flower starts out white & ages to pale pink, then rose – with all colors appearing at the same time. Trust me, it’s awesome! Perennial in temperate zones, cutting it back encourages its divine purpose. Makes an attractive cut flower for mixed bouquets. Rich soil for best show & it self-sows, too! Very popular with hummingbirds. Deer resistant. 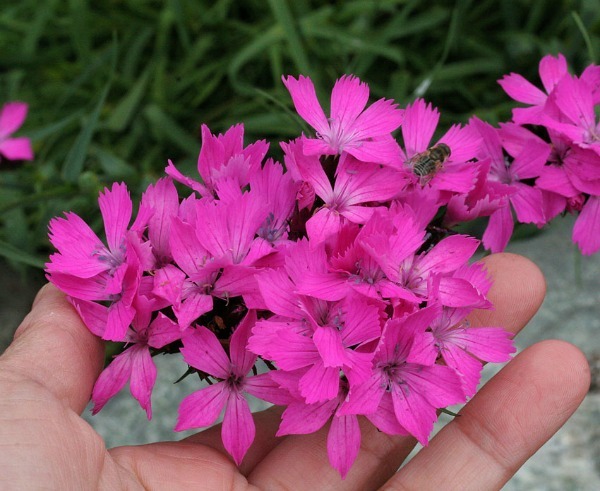 To a surprising 30” tall, rare & reliably perennial “Clusterhead Pink” blooms Spring to Fall with clusters of brilliant pink blooms bobbing atop strong, upright, leafless stems. I love the elevated blast of color & the cut flowers! Low, dense foliage mound to 12” across. Best on the edge of a bed, as all Dianthus love good drainage. Evergreen in milder zones. 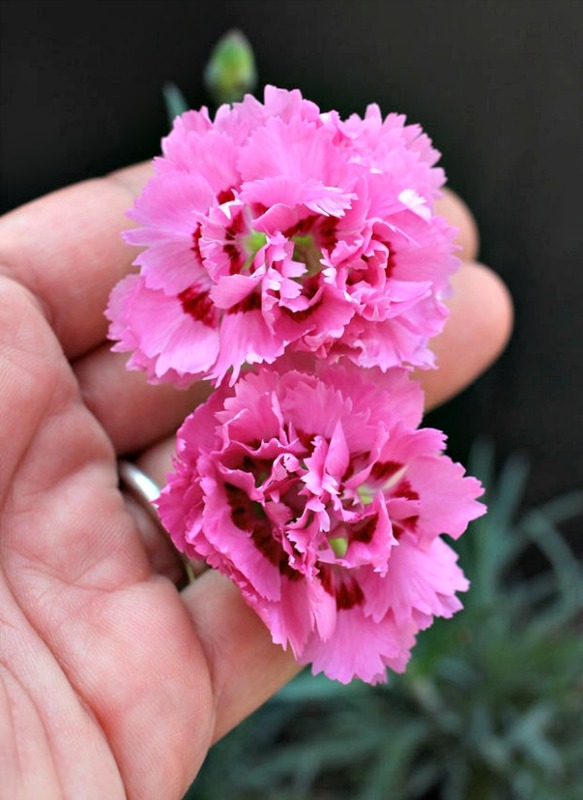 We adore this fringey-petalled double pink Dianthus not only for its intense fragrance, but also for its exceptional longevity and reliability! EVERGREEN blue-green foliage forms a weed suppressing mat 10” high & wide – spreading over time. From late Spring thru Summer it becomes festooned with butterfly-attracting, maroon-centered blooms that are perfect for posies - the more you cut, the more you get! Lovely planted on the edge of a bed or a container. 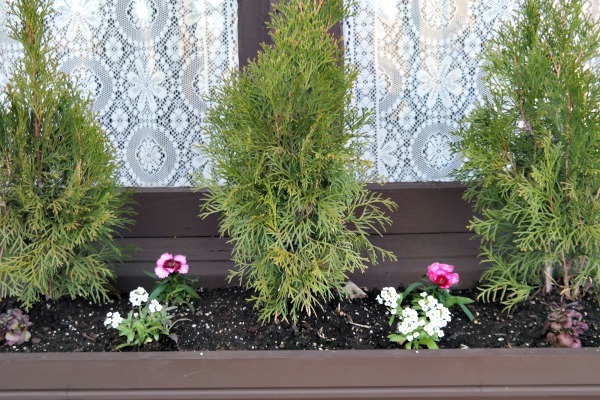 Provide good drainage and regular compost for a healthy, long-lived, floriferous plant. One of the Top 3 Best Perennials & the backbone of bloom in my gardens! 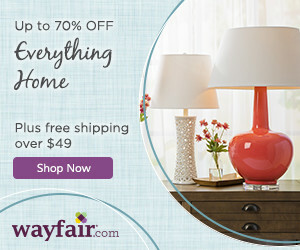 An EASY & reliable “flower machine,” the luscious, violet-scented, HUGE blooms to 4” across are studded with white pins held atop sturdy stems to 3’ tall – Fab for cutting! Blooms late Spring to Summer or Fall with deadheading. Cut back to 2” tall in Winter. 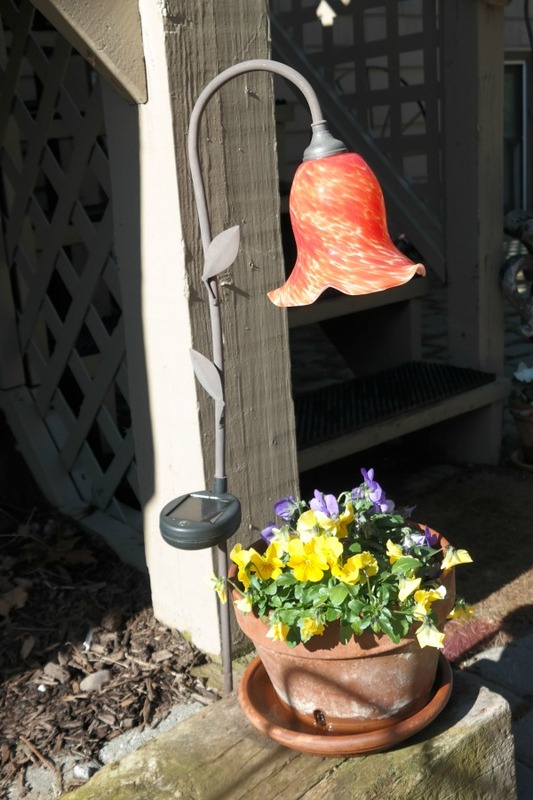 A mildew-free bee & butterfly magnet! Deer resistant! So what do you think of my selections? I can't wait to see how they do in my mountain top garden! What's on your planting list for the upcoming season? All of your beautiful flower photos make me excited to get out and play in the dirt! This year I'm going to do more with annuals...I especially want to plant zinnias. They are my favorite flower, but I always seem to forget about them! I started some zinnias from seed this year - I bought some plants last year at the garden center and they did so well!! I don't think I've ever had zinnias before, how is that possible? Annie's one smart gardening chick! No kidding - she puts me to shame in a big way!! Thank you for sharing everything.. 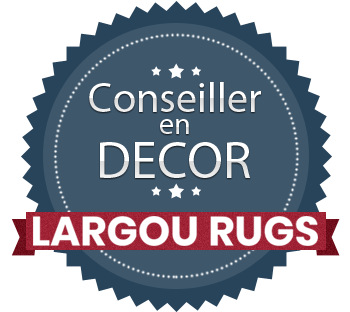 Thanks for visiting and for taking the time to say hello - and welcome to my little blog!! I can't wait to see those flowers blooming in your gorgeous garden! You and me both, Debbie! Between the plants I ordered...and the seeds I started....and the annuals I will pick up at the garden center....it's going to be a colorful place around here! Thanks, Lorraine....I'm trying to hold off for another couple of weeks - I think someone needs to tie my hands! I LOVE your selections. We had nocothiana in the old house and it was Joe's favorite perennial. We have little to no shade here so are learning all over of what to plant here. Your garden will be beautiful! 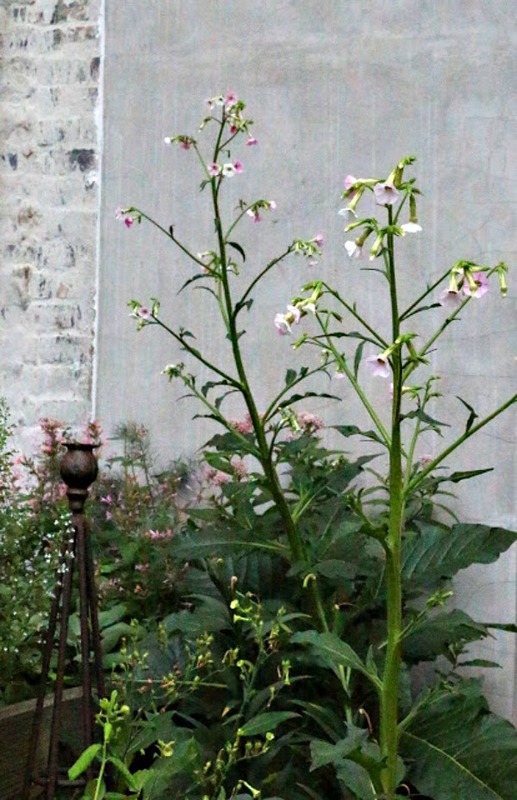 I've never grown Nicotiana, although I tried once from seed...no luck. I've read so many wonderful things about it and I truly hope it keeps reseeding! Thank you for showing these lovely flowers. It rained all day yesterday and it's gloomy and cold today. I had to cancel a mini-golf with our daughter for today cause of the cold. We do have pansies, but knowing Michigan, we really need to hang on just a tad longer before we get all the others. Same here...I'm trying, Carol. Those wont' be shipped until May 16th so at least I won't be tempted to plant them too early! Ha ha, me, too!! You read my mind!! I think I finally decided on growing some strawberries and maybe tomatos. If I do it, ill do it this weekend. So much going on, ive not gotten a chance to buy dirt! My heart is always in the garden, even when my body forbids it. You are going to have an incredibly colorful garden. All lovely selections. The video made me want to convert to a cottage garden. Everything is so lush and full. Hope your seeds come soon! They are actually plants, not seeds...even better! They won't be arriving until after the middle of May, however....I will need to be patient! It's tough to be reasonable with all those amazing offerings, Marie....I think I had three times as much in my cart at the start and finally narrowed it down to what I ordered! I used to look at Victoria's Secret catalog that way, now I look at garden catalogs :/. Ha ha ha ha, same here, Doreen!! How sad we are!! Haha, laughing at what Doreen said, above! It's going to be a beautiful garden! She's a funny one, that Doreen, she cracks me up!! It's always fun to be inspired by another garden, or book or video. We all learn from each other and also often it just spins us into another direction with the inspiration we receive. Lovely posting. Thanks for sharing and linking.